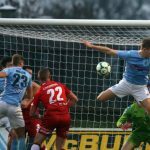 The 26-year-old’s first-half effort separated the sides at The Showgrounds and McCauley was quick to heap praise on his team-mates for securing the victory against Rodney McAree’s men. “It was really one of the most pleasing results this season,” McCauley said. 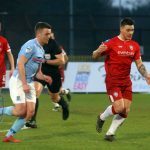 “There was something sweet about getting a 1-0 victory on a cold December’s day. “Dungannon are a tough team to play against as they give their all and put men behind the ball, as well as being comfortable in possession. The former Institute man arrowed in his 11th goal of the season, but has targeted even more before the season ends. “I was very happy with the strike as the ball landed to me quickly,” McCauley added. “You know when you hit them that it’s going into the back of the net. McCauley was also happy with the signing of Stephen Dooley after watching the former Cork City man in action last season. “Stephen is a great signing and I was delighted with the news,” McCauley continued. “We played together with Northern Ireland so I know the quality he brings in his play and his professionalism off the pitch. “I watched him play in the Aviva recently and he was excellent, so I’m looking forward to linking up with him. The L/Derry man has deputised as captain in recent weeks and has thanked manager Oran Kearney for giving him the armband. 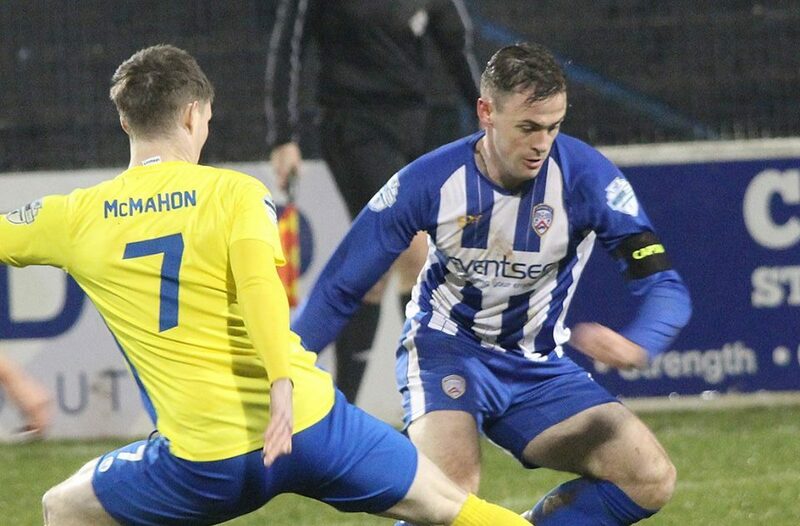 “It is a privilege to captain Coleraine,” McCauley insisted. “For Oran to put that trust in me means a lot which I haven’t told him. Next up for the Bannsiders is a clash against Ballinamallard United at Ferney Park, but whilst the Ducks are sitting bottom of the Danske Bank Premiership, McCauley insists the Stripes won’t take anything for granted. 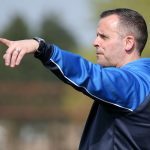 “We never get it easy with Ballinamallard,” McCauley acknowledged. “They are a tough team to play against and they have a threat in Shane McGinty.